Norway’s City of Seven Mountains is known for its 12th-century wharfs, lively fish markets and hiking and cross-country skiing in scenic wilderness. Bergen is surrounded by mountains on one side and fjords on the other. The old port city on the west coast of Norway is the second-largest city in the country and is known for its scenic beauty and historic charm. Wander through narrow alleyways lined with 18th-century wooden buildings. Learn about 14th-century merchants or admire contemporary art in museums, then haggle for fresh seafood at the lively Torget Fishmarket. The best way to get a feel for the city is from the top of Mount Fløyen, one of seven mountains that surround Bergen and give the city its nickname. Catch the Fløibanen Funicular from the city center to the summit, 1,050 feet (320 meters) above sea level. Look out across the mountains and over the old city center to the fjords and the sea. The mountains around Bergen offer opportunities for hiking and picnicking in summer and cross-country skiing in winter. Hike to lakes and forests just a short trip from the city center. Bryggen, or the Hanseatic Wharf, is a protected historic site on the water in Bergen. The foundations of the city were built here in the 11th century and many old buildings remain. The wharf is also home to several museums. Escape Bergen’s notoriously rainy weather and browse the Bryggens Museum and the Hanseatic Museum. Learn about the history of the city and life in the Middle Ages. While winters are often cold and wet, the months between May and August bring fine days and warmer weather. The Norwegian Krone is the official currency of Norway. 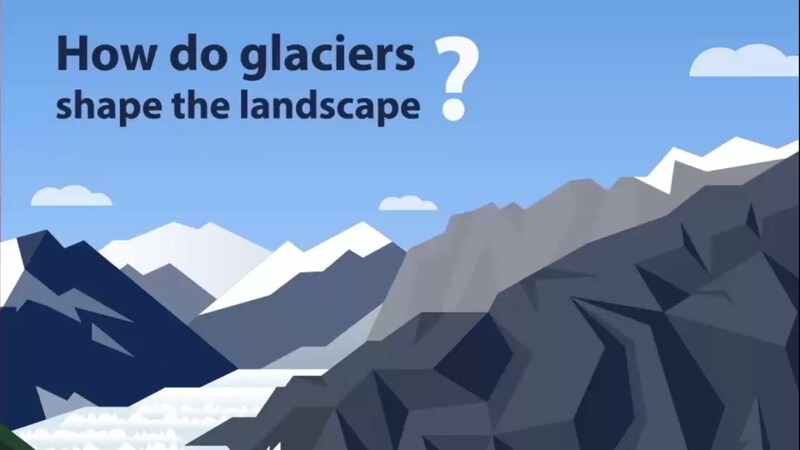 How do glaciers shape the landscape?